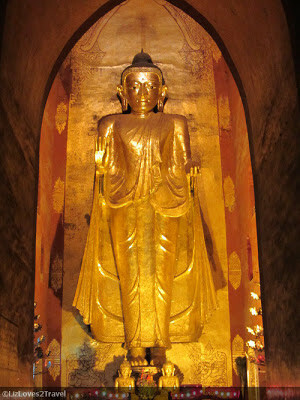 After the sunrise viewing, I proceeded for a half-day temple tour. I heeded the suggestion of my cart driver to make my waiting time worth it. So, with all the exhaustion and haggardness brought about by only a few hours of not-so-comfortable sleep from the night bus, I explored the temples of Bagan. Walking around Myanmar's capital city of Yangon, already felt like you teleported somewhere decades ago. Well, wandering in Bagan, felt like you were lost in time. 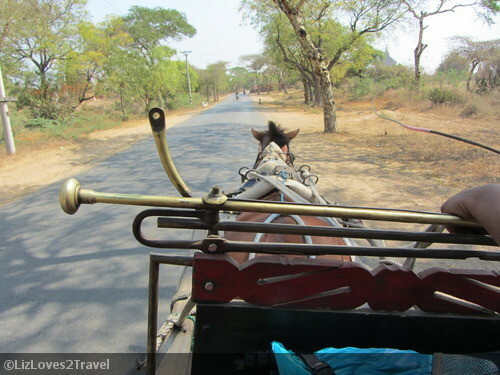 Here, people still use horse carts, many paths are still unpaved and locals live in traditional villages and houses. If you won't see the establishments in the Main Road, you would think that you're still in this ancient city that it was centuries ago. This was our first stop, named after the reigning King back in 1218. It was built in commemoration of the place where he was chosen as the Crown Prince. Htilominlo when translated means "king favored by the white umbrella and the father king". This 150-feet structure is made up of red bricks which were laid excellently. 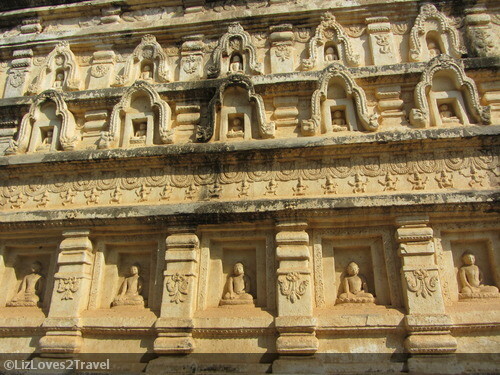 This temple has three levels but only the first one is accessible to tourists. There are four Buddhas on the ground floor facing each directions. This temple has already undergone a repair after it has been destroyed by an earthquake in 1975. 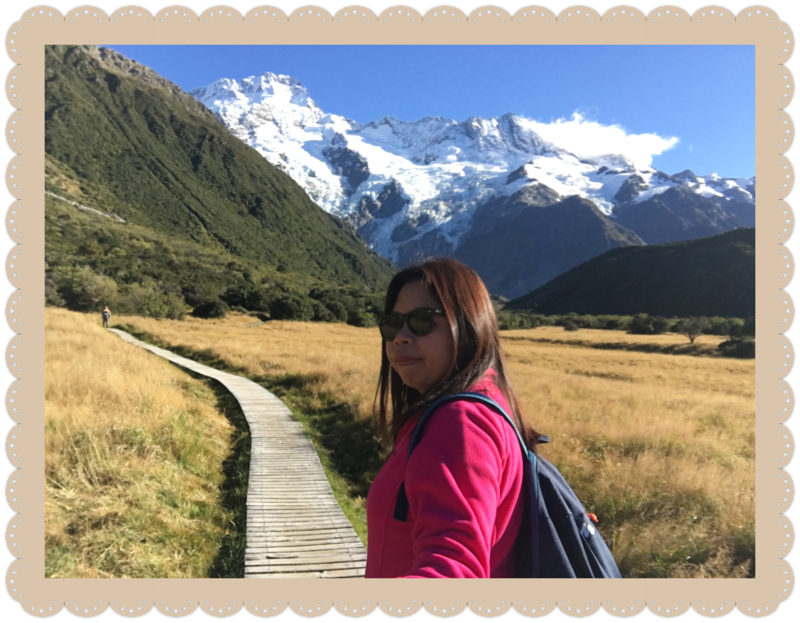 We continued our journey. It was still very early that you'll only see a few people walking around. We passed by the Chatu Mukha area. It's just a group of minor temples but it looked a bit interesting to me so I asked my driver to halt. I got off the cart with my tripod and click, click, click. The orange glow of the sun rays looked magnificent on the ancient temples' red bricks. I would love to go on this narrow path and see more of the less explored temples but I didn't feel very adventurous that time. It must be the lack of sufficient sleep. 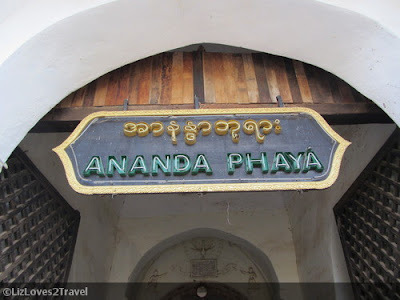 My next temple was the Ananda Phaya. 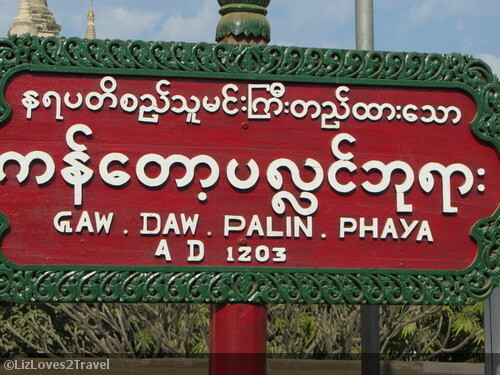 Don't get confused, it is also spelled as "paya" sometimes. They have the same meaning. 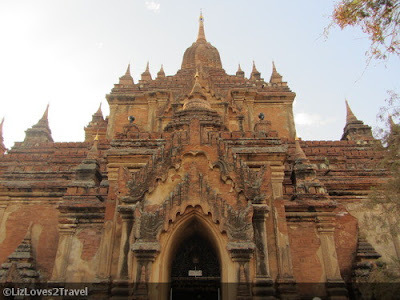 This is said to be the most important temple in all of Bagan. The Sanskit word Anand means "very beautiful". It is highly revered and the most beautiful temple in Bagan. It is a fusion of Mon and Indian architecture. Mon is one the states in Myanmar. It is said to be, where the first identifiable human civilization of Burma came from. 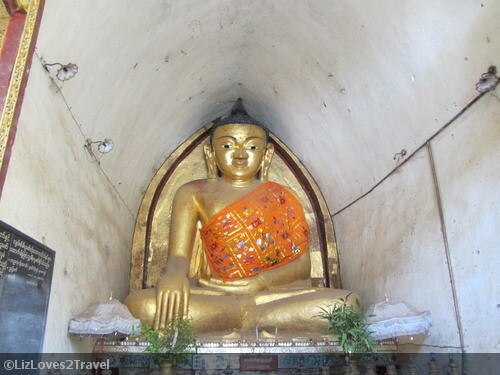 There are four Buddhas inside the temple facing the cardinal directions - east, west, north and south. Each represents the Buddhas that reached nirvana. The temple has five terraces and a pinnacle. It is mainly made up of bricks and plasters. I've read an interesting trivia about this temple. According to the legends, when the construction of this temple was completed by the architect monks, the King ordered to kill them just to make sure that no other temple will be built like this - he wants this temple to be one of a kind. I seriously hope that isn't true. Just adjacent to the Ananda Phaya, is Thatbyinnyu. The name literally means "omniscience". 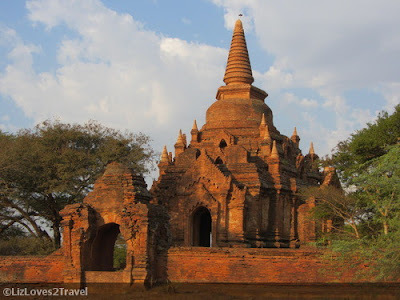 It is also one of the famous ones in Bagan. 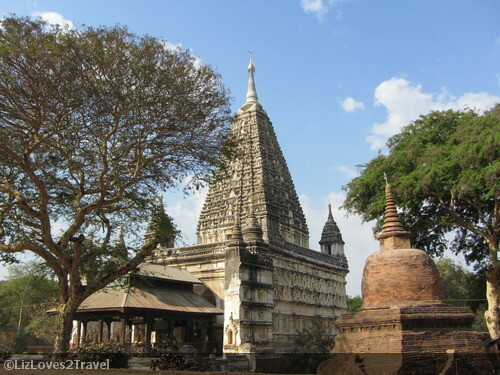 It is the tallest one, towering over all the other temples. 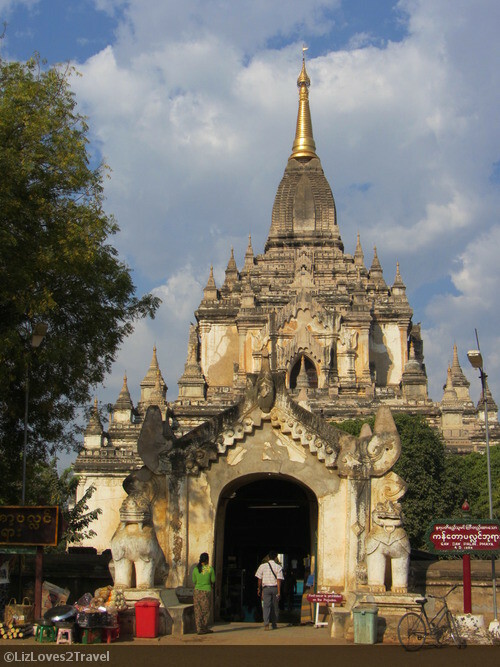 This is built approximately 45 years after Ananda Phaya. The temple has two storeys. 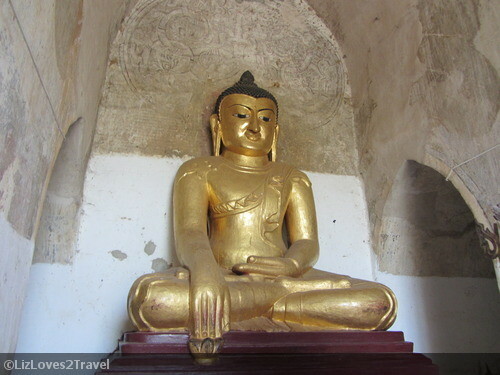 The second storey houses a big sitting Buddha in a lotus throne. Awesome views can be seen from the outer terrace. 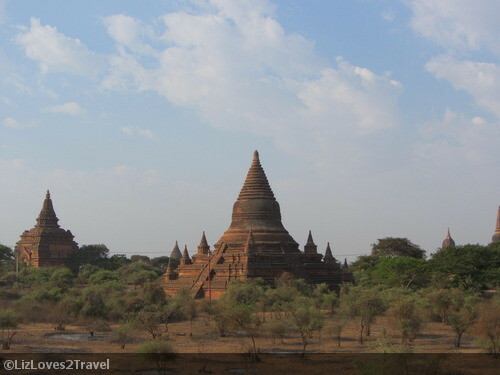 You'll see all the other temples scattered around Bagan. This was my fourth temple. 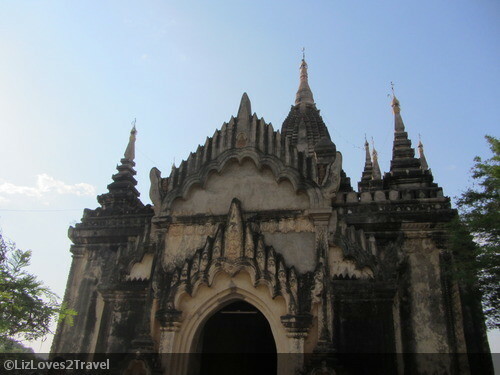 It is the second highest in Bagan, completed during the reign of Htilominlo. 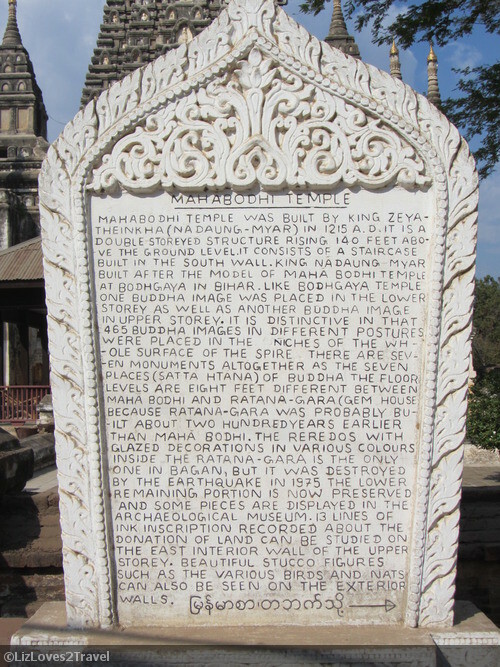 The temple name means "the throne which was worshipped". It was built close to the Ayeyarwady River (Irrawaddy). You will notice its similiarity to Thatbyinnyu Temple in structure. This temple also has two storeys. It has four upper terraces and three lower terraces. There's also a large sitting Buddha inside this temple, along with the other 10 Buddha images in the ground floor. 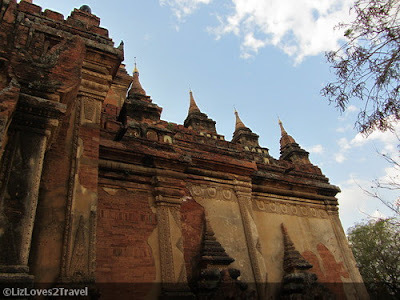 This temple is also one of the examples of Bagan's great ancient architecture. Located at the bank of Ayeyarwady River, is the Bupaya. This was my next stop. 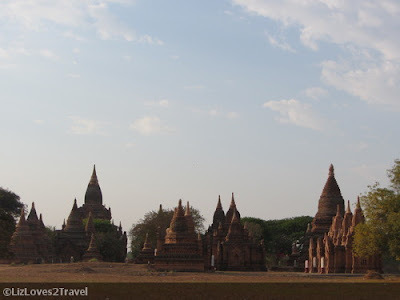 It was built by the third King of Pagan (Bagan's ancient name). 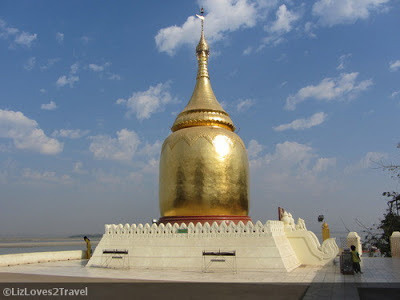 Bu in Burmese means "pumpkin" or "gourd" and paya of course means "pagoda". It is also said that this location was infested with a gourd-like plants back then. This was probably the reason why they made the pagoda in shape of a gourd and named it after that. 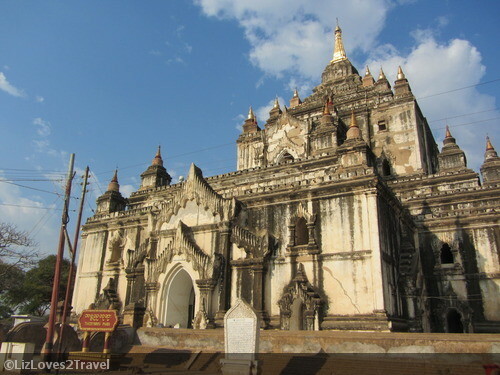 This is one of the most remarkable shrines in Bagan. The original structure was completely destroyed by the 1975 earthquake. It was rebuilt in a totally modern way and design. 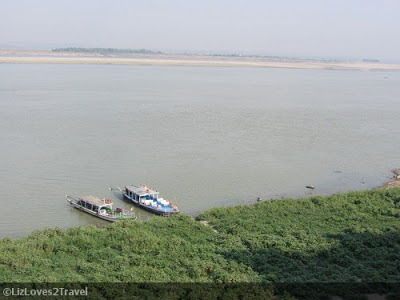 Being on the edge of the Ayeyarwady, you'll see the fantastic view of the mighty river. This is Myanmar's largest river and biggest commercial waterway. 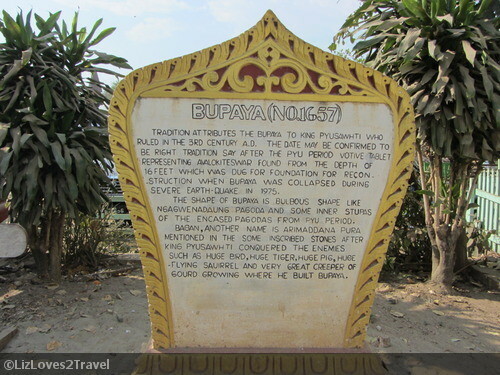 Bupaya had become a very distinct landmark in the shores of Ayeyarwady River. This was my last temple on this tour. This is a replica of the Mahabodhi Temple in Bodhgaya, India. It was also built during King Htilominlo's reign. This temple has two levels. 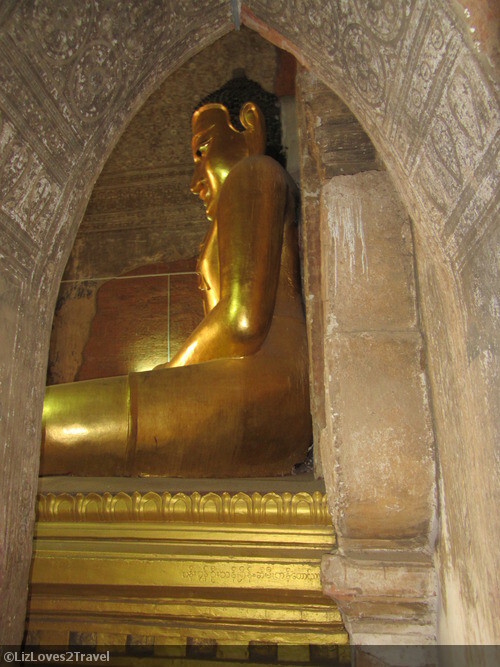 Just like the one in Bodhgaya, it also has a large sitting Buddha with its right hand touching the Earth located at the ground floor level. The corridor walls were decorated with artworks of Buddha statues in different positions. 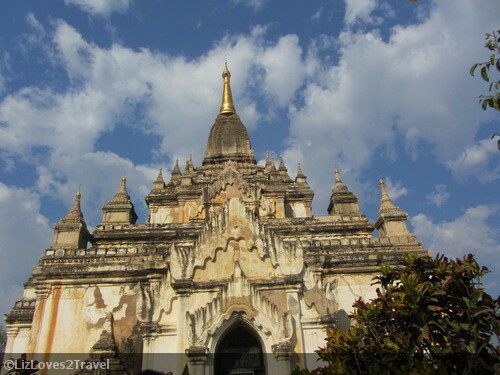 The pyramidal tower on top has niches which contains 450 Buddha images. Hopefully, I'll also be able to visit the original one in India so I can compare them well. I met Phyu Phyu at this temple. I knew her from a fellow travel blogger friend, Nath. She applied thanaka on my face and taught me how to wear the longyi. Thanaka is a yellowish make-up like paste made from ground bark. They say it is the beauty secret of Myanmar women hehe. Longyi is this sheet of cloth widely worn in Burma, just like a long skirt. As the day went by, I was starting to feel cranky. I asked my driver to take me to the guesthouse by 11:30. Lack of rest and sleep was starting to take its toll. We passed by a small village before he took me to my hostel. He bought sacks of hay for his horse. There, I observed how simple the lives of the locals were. Burmese are happy people. They seemed content on the very basic and simple things that they have. Life is obviously hard in Bagan but it didn't seem like it. Unlike in let's say Cambodia, you will be pestered by a lot of vendors in every temple you visit. They will even follow you around even if you already said no several times. In Bagan, I did not have that trouble. Maybe the worst thing you can experience are horse cart drivers over-pricing their rate. But once you see how they live day to day, you wouldn't feel so bad for giving them that extra money. Realizations. Maybe that's one reason why I wouldn't stop traveling. Sometimes your destination is actually somewhere within you. 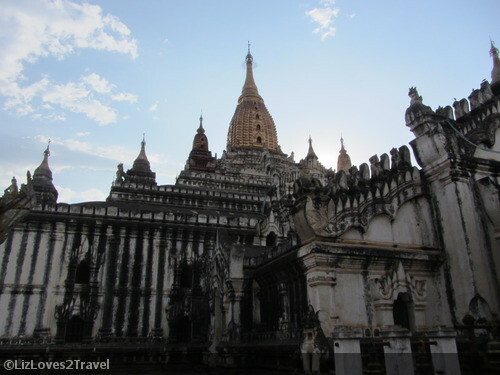 This is Part 6 of my Myanmar travel series. 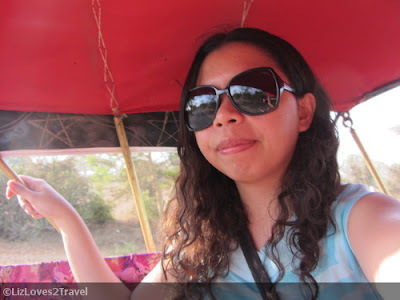 How much did you pay for the ox cart per day? Helo Lizzie, As I told you. I'm, going to Myanmar soon. I will arrive in Yangon on nov 30th by mid-day. 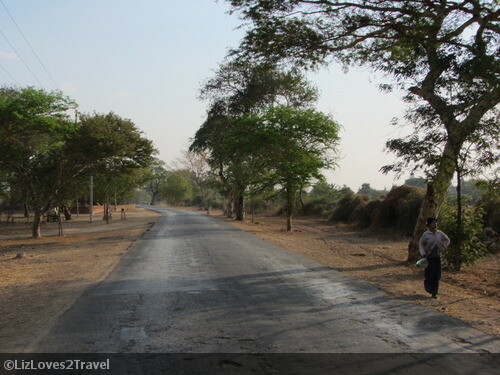 I'm thinking of gettinga aplane to bagan and would be there around 18 o'clock. 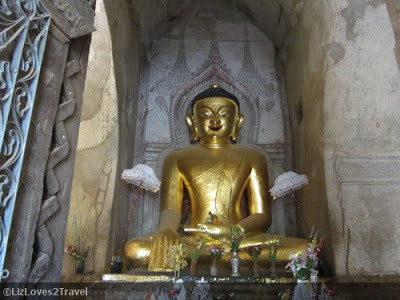 Tham spend 3 hole days there and on dec 3rd get e night bus to Yangon. 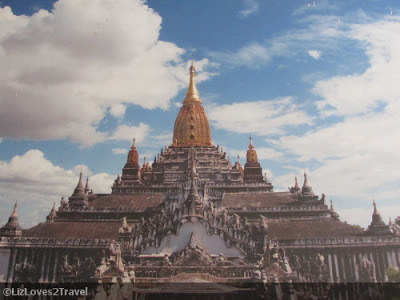 I would have some few hours teher before getting a plane back to bangkok... Are there a lot of things to see in yangon? I was thing of vivisting just the main pagoda. 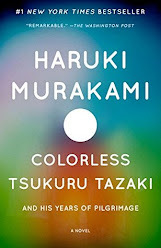 Would it be allright? Hi again! 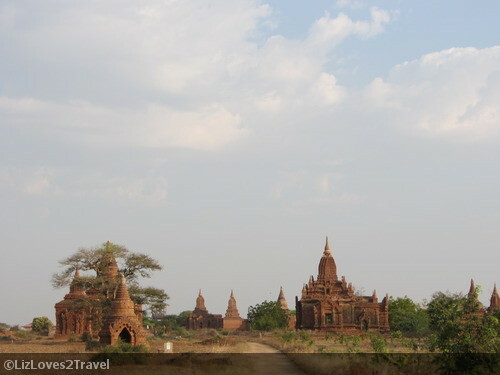 If you want to see everything in Bagan in a relaxed pace, I would say 3 days 2 nights. You can actually cover all the main temples in a day like I did. 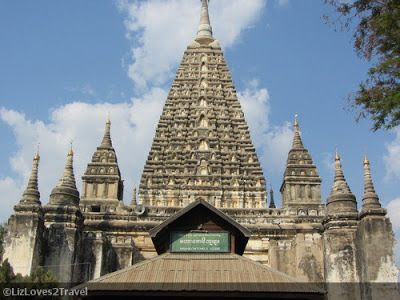 But if you want to check out the temples by yourself and anything that interests you, I would suggest that you hire a bike and go around on your own. It was quite easy they say. That was what the other people I met in the hostel did. Yangon deserves at least a day. You can see all the interesting sights there in one day. If you could spend a night there, do it! Shwedagon Pagoda (main pagoda) is fantastic at night as well and I missed the chance to see it all lit up! But then again if you're pressed for time, you can pass it. Anyway I will no be able to see de Shewdagan pagoda by night because if i decide to saty one night in Yangon I would arrive late at night... But it must be beautiful anyway, right? Other thing.. Do you have a nice and cjeap place to stay in Yangon? Yes, it's beautiful at night and I regret that I missed it!